Bahgi's enthusiasm ﻿was clear from the start: this was the first entry for the competition I received by a long way! Charlie and the Great Glass Elevator by Roald Dahl is a fantastic book and Bahgi had some very interesting things to say about it. This was the winning book review because of how thoughtful it was. Bahgi has considered not only what she liked about the book she's chosen, but also the author himself and his other books. Well done Bahgi! Did you know that Romans wiped their bottoms with a sponge on a stick? Did you know that some really rich Romans had slaves just to do their hair? Did you know that Romans would eat stuffed dormice and ostrich tongues? 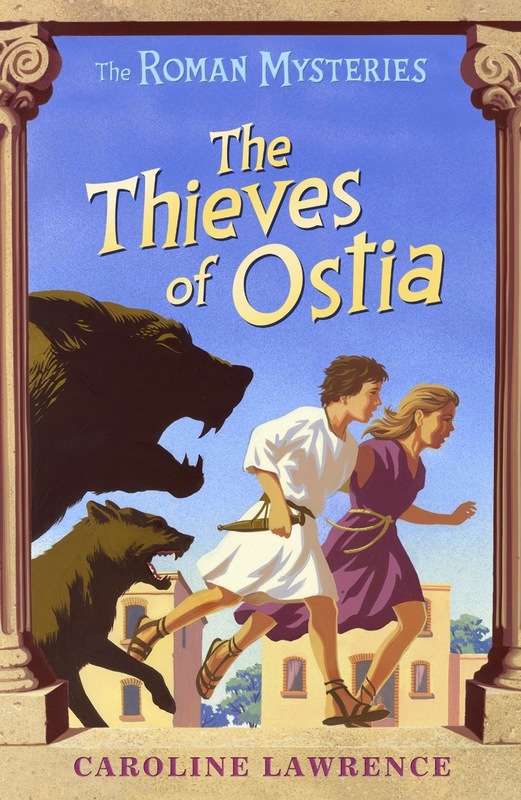 All this and more is waiting to be seen on the pages of The Thieves of Ostia by Caroline Lawrence! If you missed any of the library readings of George's Marvellous Medicine then here is a treat: the whole book read by Rik Mayall. He even mixes up his own batch of the medicine! Remember: don't try making this at home! Over the last few weeks Year 2 have been hearing George's Marvellous Medicine by Roald Dahl. Later in the year the children will be learning more about Roald Dahl and reading more of his books, so it's great that they have enjoyed this book so much! 'The Voices' by Natalia in Year 6 was the other poem to win. It is impressively creepy and utterly chilling. Wrap up under the covers for this one! Congratulations Natalia for scaring me badly enough I had to give you a prize. Enjoy!